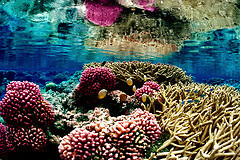 Coral Reef at Palmyra Atoll National Wildlife Refuge. Photo by Jim Maragos/U.S. Fish and Wildlife Service; Creative Commons license on Flickr Commons.